Britain is in a state of chaos. Brexit, the Windrush Scandal, the rise and legitimisation of far-right, austerity, foodbanks, Jacob Rees-Mogg. Have we ever needed a new Specials more than we do now? Coventry’s two-tone heroes recently announced a tour, an initial two date hometown run in the city’s iconic cathedral ruins, which has been extended to four nights due to phenomenal demand. Alongside that, they have released a vital new album which has rocketed straight to number one in the official album charts – for the first time in the band’s history. Encore, is just as fresh, scathing and politically engaging as their releases at the height of two-tone in the late 70s and early 80s. It is the group’s first album of new material with Terry Hall on lead vocals since 1980. Despite this, two of the most striking offerings here do not include the Hall on vocals. Guitarist Lynval Golding takes centre stage on ‘BLM’, a spoken piece about his experiences of racism on both sides of the atlantic, performed over a funky beat with some traditional Specials chimes on the chorus. ‘Ten Commandments’ is a response to a the ska staple by Prince Buster, but with lyrics written and performed by Saffiyah Khan, who shot to fame after she was pictured wearing a Specials t-shirt whilst going toe-to-toe with a jut-jawed EDL member at a protest in Birmingham in 2017. Khan takes umbrage with Buster’s original sexist lyrics, with references to catcalling and the #MeToo movement. The band take on the current slew of politicians in the brutal ‘Vote For Me’: “You’re all so drunk on money and power / Inside your Ivory tower / Teaching us not to be smart / Making laws that serve to protect you / But we will never forget that / You tore our families apart”. ‘Vote’ is perhaps the track most reminiscent of the classic Specials sound on an album that, as well as ska, also consists of funk, disco and dub. There some songs which don’t quite work – ‘Black Skinned Blue Eyed Boys’, a cover Eddie Grant’s The Equals 1968 track, opens proceedings but feels outdated in comparison to the rest of the album. The re-recording of ‘The Lunatics Have Taken Over the Asylum’, the number one hit by Fun Boy Three, the post Specials group set up by Hall, Golding and Neville Staple, seems slightly unnecessary in an album otherwise filled with mostly new, riveting material. 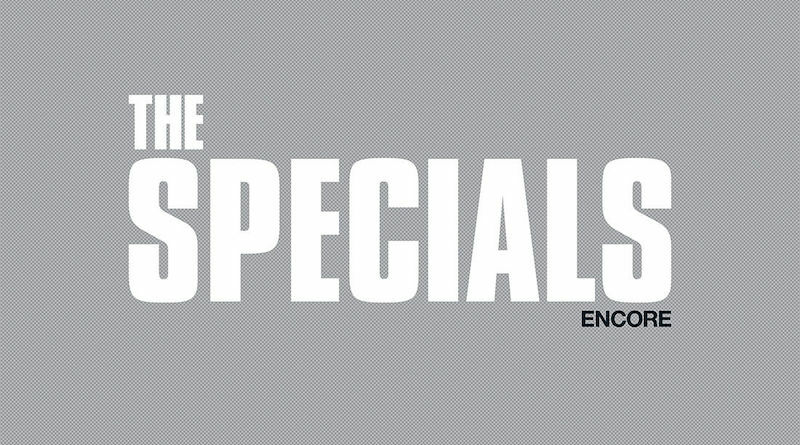 There is often concern when an iconic band re-group with different line ups to release new music – but this album, does not diminish The Specials reputation – they are still a tight band, with knife-sharp lyrics. Listening to Encore, you can’t help feel the contents will stand in good stead amongst classic songs from the original two-tone era. Music, gigs, beer, football. Like to discover new music, and support local acts. Favourite bands include Beatles, Elbow, Frightened Rabbit, The Walkmen amongst many others. Journalist for local news providers, including Trinity Mirror and BBC.